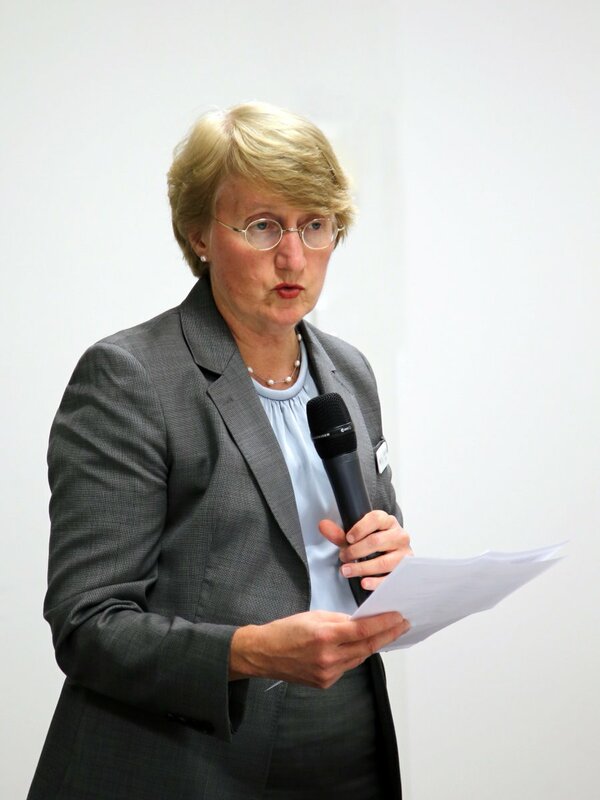 Dr Catherine Yelland is President of the Royal Australasian College of Physicians. She is a geriatrician and general physician in fulltime hospital practice at Redcliffe Hospital, Brisbane. Awards recognising her work include the Queensland Public Service Medal for Services for Older Persons. We should be proud of our health system. Across Australia, a capable and committed workforce of medical professionals are focused on providing the best care they can and, with a few exceptions, patients have good access to excellent resources. But that doesn’t mean our system can’t be better and it’s for this reason that the Royal Australasian College of Physicians (RACP) is a strong proponent of changes to deliver more patient-centred integrated care. We are an ageing population and therefore there is a growing number of Australians living with multiple, chronic health conditions. Their care can often be disjointed and disconnected, with the patient’s different health conditions managed by different health professionals in a system where regular and timely communication between clinicians can be very difficult. Integrated care involves collaboration between health care providers and services across primary, secondary and tertiary care. We need a model of integrated care that is based on a patient’s regular ‘medical home’ and reaches out and connects with specialists, hospital- based clinicians, and allied health providers. Getting there will not be easy – changing systems and behaviours never is. One of the biggest challenges is that our health system is a federated model and is organised around the different provider sectors. But that doesn’t mean that the sectors can’t work together. We all have a common aim, to provide high-quality, high-value care. Integrated care must involve all health professions and go across health jurisdictions. And most importantly, it must involve and be focused on patients and their families and carers if we are to unlock its full potential. The key to integrated care is effective multidisciplinary teamwork. The Specialist Training Programme (STP), which has been funded by successive Australian governments since 1997, is instrumental in this area. The STP is delivering significant value in delivering highly trained medical specialists, thereby meeting Australia’s future health needs and improving patient access to care. side-by-side with other health professionals in mainstream general practice, Aboriginal Medical Services, private hospitals, and other community-based health services. This enables doctors undergoing advanced specialist training to gain broader experience and exposure to patients and conditions not always seen in metropolitan hospital settings. Importantly, these settings strongly support inter-professional learning and provide experience and a deeper understanding of the value of an effective multidisciplinary healthcare team. Integrated care involves providing health care to patients where it is most effective and efficient, including specialist care. Our health system needs to better support physicians to work in community-based settings such as community clinics, primary-care practices Aboriginal Medical Services, and residential aged-care. There are many studies that have shown how beneficial this can be – from early discharge services for stroke rehabilitation to providing diabetes care within a general practice setting. In May, the Federal Government announced its Health Care Homes trial which will co- ordinate all of the medical, allied health and out-of-hospital services required as part of a patient’s tailored care plan. Patients will be able to enrol with the ‘Home’ of their choice – either through participating GP practices or Aboriginal Medical Services. The RACP is supportive of this approach as it is a unique opportunity to re-engineer the health system for those patients most in need of long-term, integrated and coordinated care. The RACP is also calling for greater use of telehealth which has been successfully providing improved access to care for many patients in rural and remotes communities. Telehealth has the potential to help those with mobility problems, parents of young children, people who need family members to be involved in discussions around their care and will reduce the impact on people who need to take time off work to attend appointments. Remote Aboriginal and Torres Strait Islander communities recognise telehealth can provide care that is deeply personal as well as highly practical. By allowing patients to stay in their community, they are able to retain vital direct access to their community’s support and care whilst still receiving the medical care and support they need. From a resourcing point of view, it makes perfect sense. Recent research from the CSIRO revealed that telehealth could save the nation’s healthcare system up to $3 billion a year. Better integrating our health care system will bring challenges. But with an ageing population presenting with greater numbers of multiple, chronic health conditions, it is vital for us to confront and overcome each of them. The stakes are high and so is the commitment of the RACP.